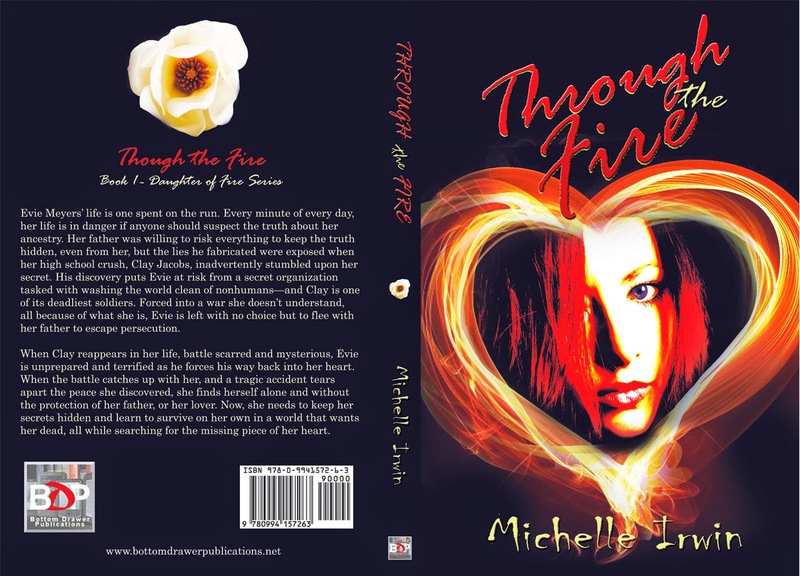 Bottom Drawer Publications is proud to present Through the Fire, book one in the New Adult Paranormal series Daughter of Fire, by Michelle Irwin. Ever since Clay, a soldier for an organization tasked with ridding the world of non-humans, stumbled upon the secret of her birth, Evie's been on the run. Now he's back, and she's unprepared as he forces his way into her heart. 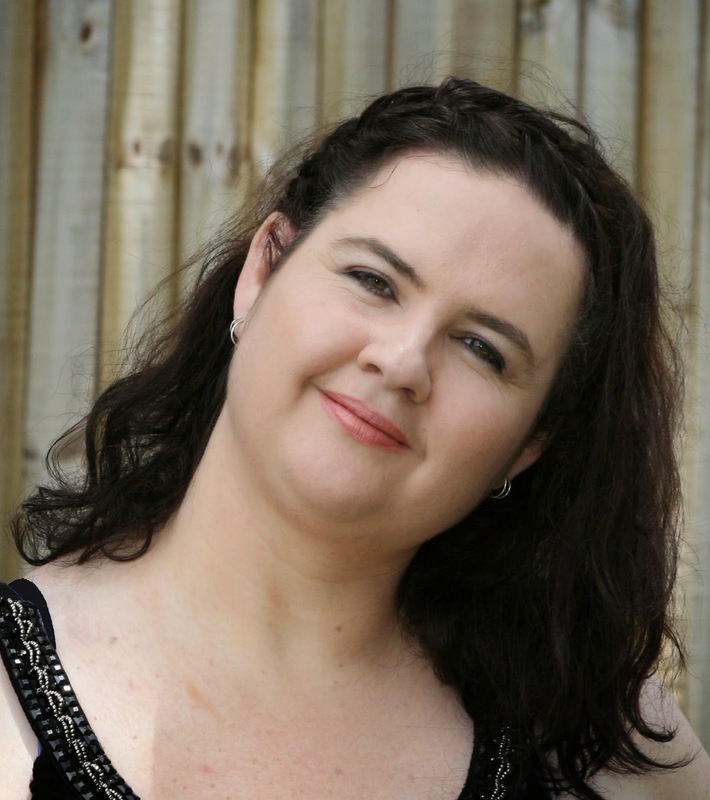 Evie Meyers’ life is one spent on the run. Every minute of every day, her life is in danger if anyone should suspect the truth about her ancestry. Her father was willing to risk everything to keep the truth hidden, even from her, but the lies he fabricated were exposed when her high school crush, Clay Jacobs, inadvertently stumbled upon her secret. His discovery puts Evie at risk from a secret organization tasked with washing the world clean of nonhumans—and Clay is one of its deadliest soldiers. Forced into a war she doesn’t understand, all because of what she is, Evie is left with no choice but to flee with her father to escape persecution. When Clay reappears in her life, battle scarred and mysterious, Evie is unprepared and terrified as he forces his way back into her heart. 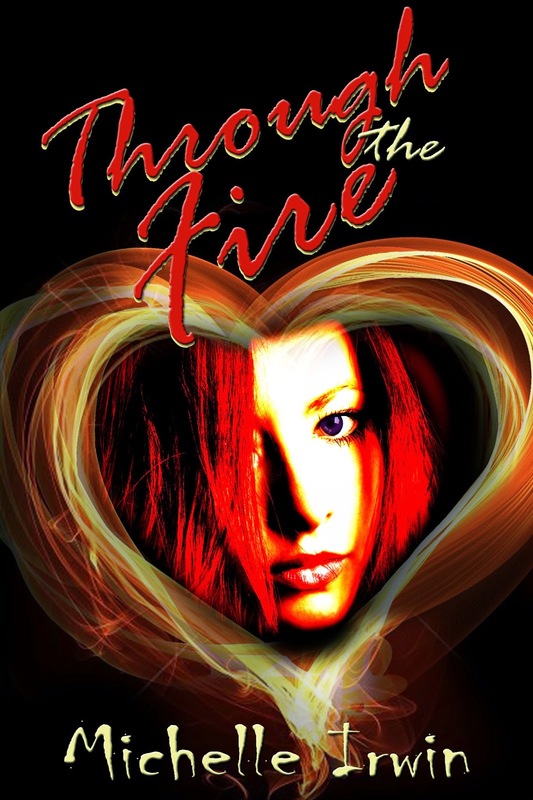 When the battle catches up with her, and a tragic accident tears apart the peace she discovered, she finds herself alone and without the protection of her father, or her lover. Now, she needs to keep her secrets hidden and learn to survive on her own in a world that wants her dead, all while searching for the missing piece of her heart.